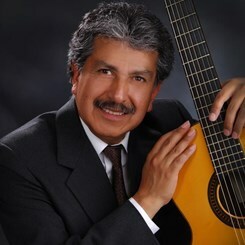 Miguel Cerruto was born in La Paz, Bolivia. He is a US citizen and an Army Veteran since 1972. He studied music at: Conservatorio Superior de Música "Manuel Castillo", in Seville, Spain. After finishing a 6 years program, he earned a Professor's Degree in Classical Guitar. Head of the New Department during the a few years. Back in the states, he worked at Northern Virginia Community College as a Classical Guitar Instructor, (2004-2005). He played Solo Concerts in Spain, Scotland, USA, Chile and Bolivia. Now he is back teaching in Music & Arts Woodbridge location and also has some private students in the Northern Virginia area. Request Lessons with Miguel Cerruto today!